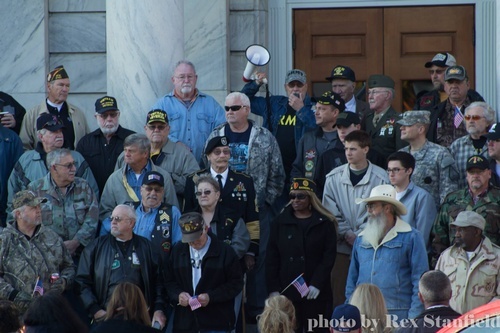 We will assemble in front of the old Federal building at 8:00 AM and at 8:30AM we will have a prayer then Play TAPS. We will then cross Broad Street and walk up the sidewalk to the old bus station just past the old Sears building. All Veterans and active duty are welcomed to walk also any family members who wish to participate. If you have any family you wish to walk for come on bring a picture if you wish. This will be rain or shine.